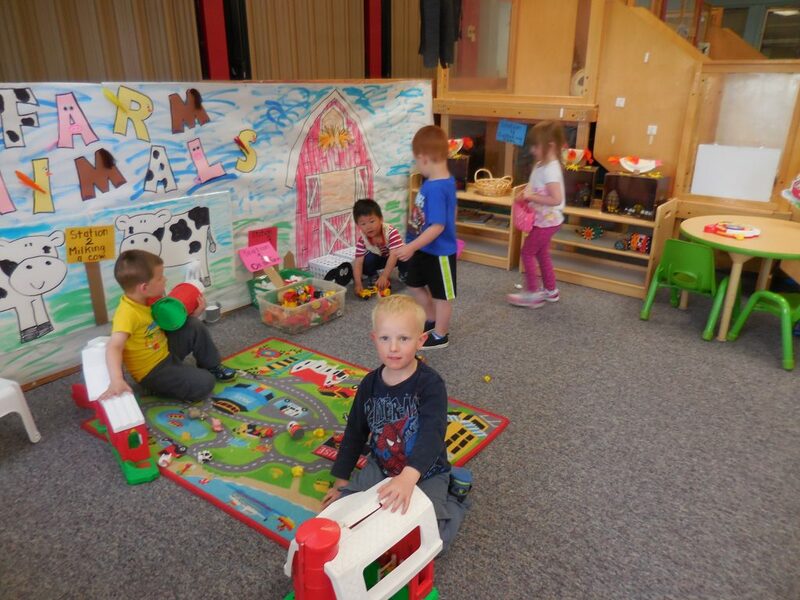 We have multiple unique schedules at Noah’s Ark Child Center to accommodate your children and help surround them with others in their age and education level. Our goal is to work closely with parents to design the schedule that works best for them, creating an easy drop-off and pick-up schedule. Noah’s Ark offers 5, 3 and 2-day options for children who want to attend full day sessions. We also offer morning and afternoon-only sessions with an optional lunch included. You can also gain extra time measured out in full or half days or choose our occasional attendance option. CLICK HERE to view and download the master schedule and our full list of hours. Our Color Group is for our younger children, ranging from age 3 to age 4 and a half. We have year-round scheduling for the Color Group filled with dozens of fun activities, educational workshops and much more. CLICK HERE to see and download the full Color Group Daily Schedule. Our Shape Group is for our younger students who range from age 4 and a half to age 6. These are our more advanced students and will have a different daily schedule than other groups at Noah’s Ark. CLICK HERE to view and download the complete Shape Group Daily Schedule.